AppDynamics is hitting the road and headed to the W in Dallas on May 22nd! Join us to learn, share and be inspired by AppD customers who are driving transformation in their industries, businesses and careers. You are operating in an era of software and technology innovation, facing unprecedented change and unlimited potential. Our future will be defined by a new breed of IT professionals who challenge the norm, strive to break barriers, apply data and insight to solve problems, and unlock opportunity. 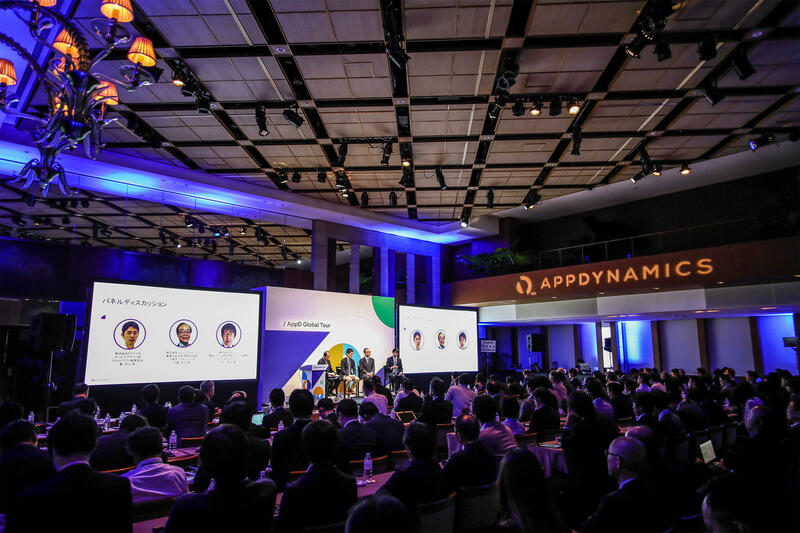 Get your questions answered by our product experts, understand our vision and roadmap, and reimagine what you can do for your business with AppDynamics. Register today for this free and exclusive event. Get ready for an action packed day of networking, breakout sessions, product demos and fun. Cisco and AppDynamics are building the Central Nervous System for IT as an extensible, open platform that works with third-party systems to ingest data, correlate and analyze across domains, and automatically remediate problems and optimize experiences. Business results improve when you can intelligently and easily instrument your applications, infrastructure, and network. In this talk, you will learn about some of the recent improvements we have introduced over the past 6 months as well as our general product direction moving forward. Cloud promises a nirvana of agility and efficiency. But cloud success requires clear visibility into every application dependency, performance metric and impact on business value. Whether you are building cloud native applications or migrating existing applications, AppDynamics provides the visibility you need to monitor performance, accelerate application migration, and get the most out of modern cloud technologies like microservices, containers and serverless. Learn how AppDynamics can put you in the driver seat as you grow and innovate in the cloud. Learn how to unlock the power of business metrics to align IT and business stakeholders for industry verticals. BiQ correlates application performance to business outcomes and visualized from a single unified platform to quickly identify anomalies that are impacting key business metrics (revenue, # of users, conversion rates, etc). Business health baselines, anomaly detection, and alerts are automated and immediately actionable.This empowers application teams to easily communicate with business stakeholders to justify investments, prioritize code development, code release and incident management. Want to make the best of AppDynamics and accelerate your path to success? In this session you will learn best practices in order to accelerate your journey to becoming an Agent of Transformation. Whether you are just getting started or are already an advanced user, these tips will help you become more proficient and perhaps uncover some different ways to apply AppDynamics that you hadn’t thought of before. Thank you for registering for the AppD Global Tour: Dallas. Have you signed up for our partner lunch? If not, register here. If you enter your mobile phone number, you may receive Event updates via your mobile phone (by voice, SMS, MMS, or otherwise) at your own cost, charged at your standard network rates.